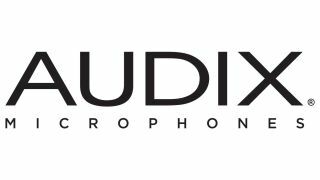 Audix, a U.S. manufacturer of professional microphones for the stage, studio, and installed markets, announced that it is a premier sponsor of the Sisters Folk Festival, a three-day celebration of roots music to be held Sept. 7-9, 2018 in Sisters, OR. More than 50 performers will gather for the 3-day event, which attracts more than 4,000 attendees. This is the third year that Audix has sponsored the event and their contribution includes providing a variety of vocal and instrument microphones for the performers, including several of their Performance Series wireless microphone systems. Founded in 1995 to bring the finest in acoustic music to the town of Sisters, OR, the Sisters Folk Festival has developed into a year-round cultural-arts organization that supports local schools with extensive community engagement. In addition to the folk festival, the 501(c)(3) organization is responsible for the educational outreach program The Americana Project, the community-themed arts fundraiser My Own Two Hands, the Americana Song Academy, a Winter Concert Series, and an overarching annual membership opportunity, the Sisters Folk Arts Circle. For more information about the festival, visit www.SistersFolkFesitival.org.